Smart slow cookers are the next big leap in the kitchen miracle that is the crockpot. Life is busy, and having a personal chef is expensive. 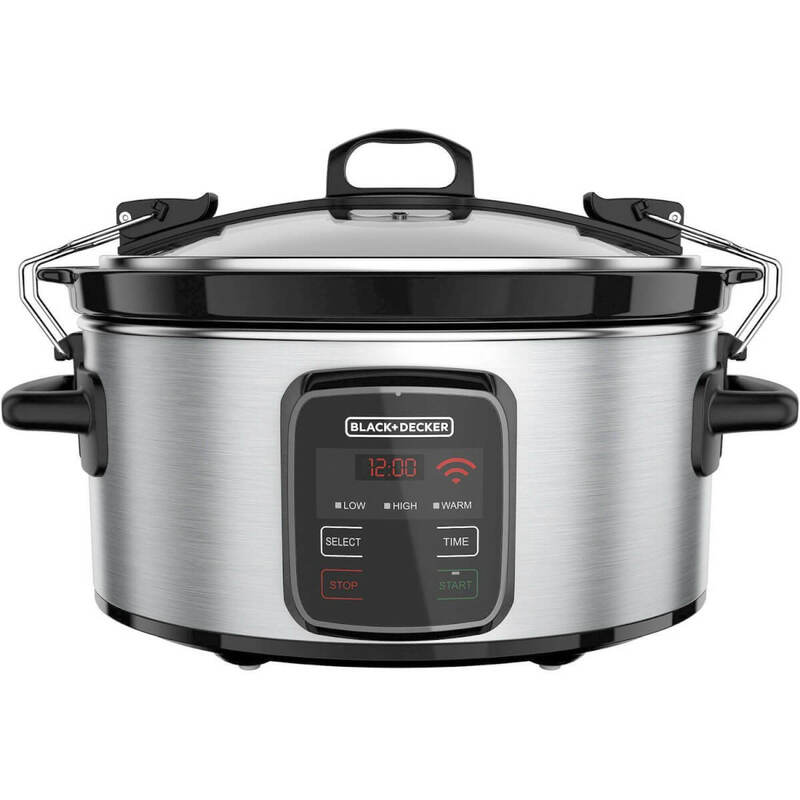 A slow cooker allows you to go about your daily business, while this little appliance spends all day cooking up a delicious meal that will be hot and ready when you arrive home. But a typical crockpot isn’t foolproof. Set it too high and you’ll burn your pot roast past the point of recognition. Set it too low and you’ll have half-cooked potatoes and crunchy carrots. Forget to turn it on and you’ll have a pale, slimy chicken instead of a crispy roasted meal. 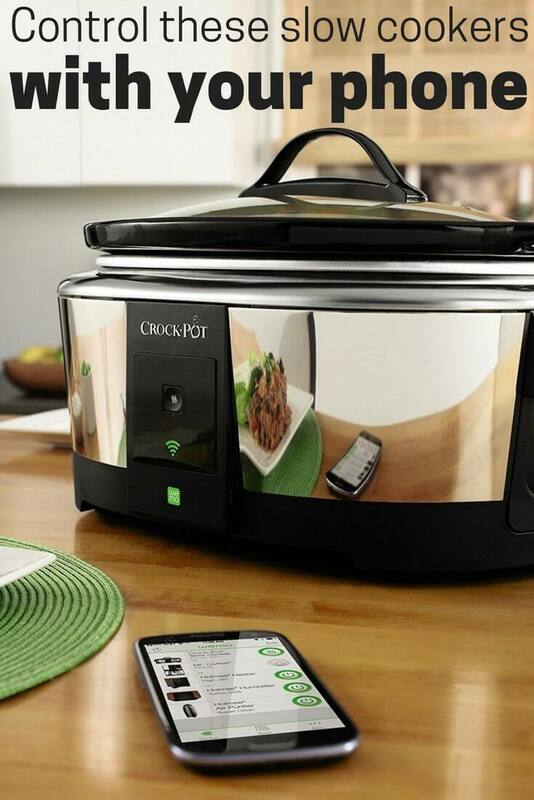 Smart home technology has answered all of these problems common with crockpot meals, and more. 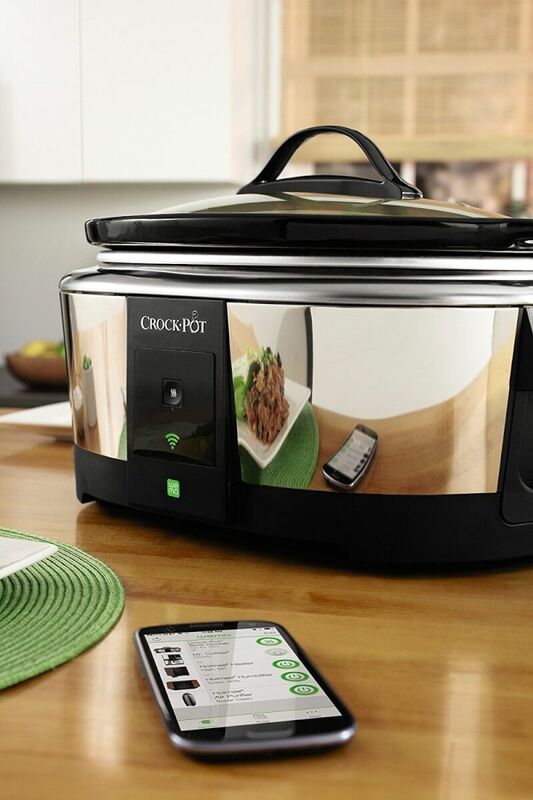 Several of the leading crockpot manufacturers are making smart slow cookers, and they promise cooking control and versatility from the convenience of your cell phone. Here are the 3 best smart slow cookers that will result in easier, homemade meals. We’ll dish up the capabilities and benefits of each in the following review. Black + Decker is not known for making technologically-robust home appliances. But they get the job done, and their WiFi-Enabled Slow Cooker fits the mold. Some reviewers complain of WiFi-set up woes or streaky performance in terms of connecting remotely to the device. Others have experienced little to no hassle. 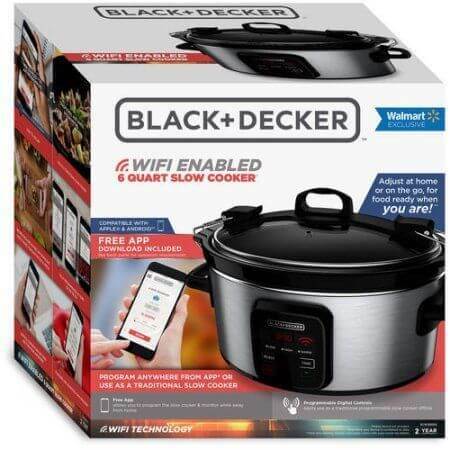 A lower-priced entry into WiFi slow cookers, the Black + Decker may be best for the occasional crockpot cook that wants a little more control over when and how their meal is cooked. The company responsible for coining the term ‘crock-pot’ has been a leader in high-quality, reliable slow cookers for decades. No surprise that they are joining in the revolution as one of the best smart slow cookers. The Crock-Pot® 6-Quart. Smart Slow Cooker with WeMo combines their tried-and-true slow cooking with WeMo wireless technology. 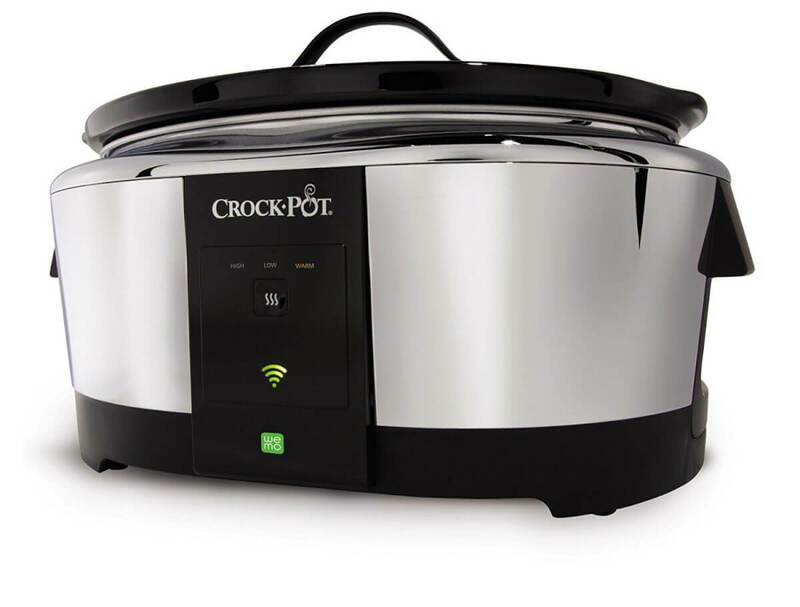 A highly-rated product on Amazon, with 4 out of 5 stars, this WiFi slow cooker lives up to the Crock-Pot® name. While some reviewers still complain of app connectivity, it has many happy home cooks monitoring their dinner from the office, soccer games, or dance recitals. 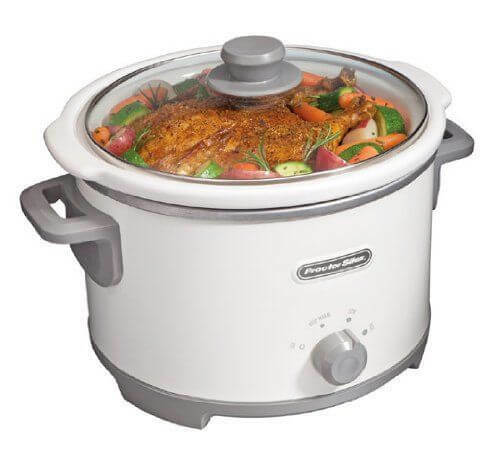 If you already know and love the convenience of a slow cooker, chances are pretty good that you own a Crock-Pot®. Make the switch to the WeMo-integrated version if you’re looking for more flexibility and control over the cooking process, without losing the dependability of the Crock-Pot® brand. This pick makes even more sense if you are already using WeMo smart plugs for other appliances in your home, since the same app can control all devices at once. A third option is to upgrade your existing slow cooker with a bit of new technology. 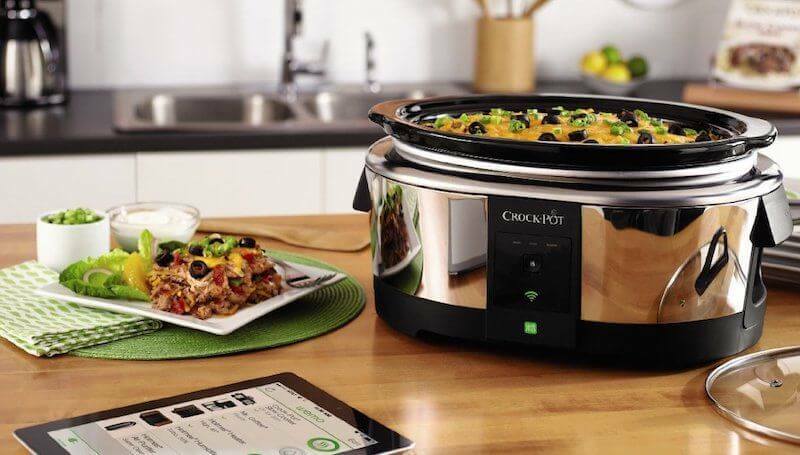 By pairing your existing slow cooker with a smart plug like the TP-LINK or WeMo (the same technology utilized by Crock-Pot® is available as a stand-alone outlet adaptor), you can control when your slow cooker turns on and off while you’re on the go. This option won’t give you as much specific control as the first two WiFi slow cookers, since your crockpot won’t be communicating directly with an app on your phone. Instead, you’ll be controlling the power supply that your crockpot is plugged into. Use it on other devices around the house like holiday lights, fans, lamps, etc. 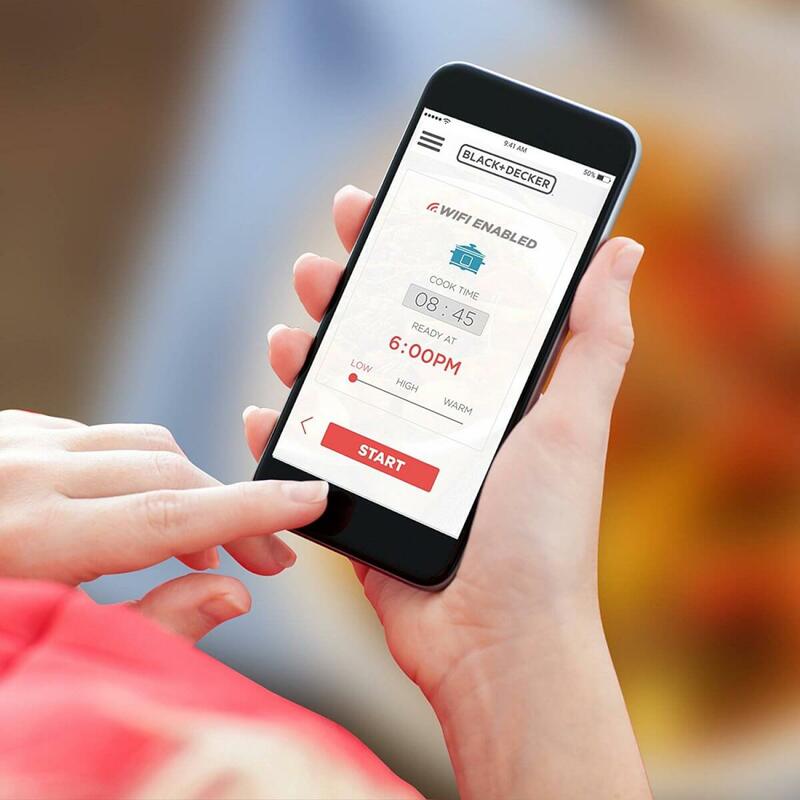 If you are not in the market for a new slow cooker, but want the basic functionality of turning the appliance off when you are not home, then consider this smart home workaround as a solution. Using a smart plug, which essentially allows you to control the power supply to a device using an app, you can turn on the slow cooker before you leave the house (allowing you to set the cooking temperature), then turn off the device using the smart plug’s app when the appropriate amount of cook time has elapsed. While most crockpots switch to ‘Warm’ after the cook cycle, that can still provide too much heat for some recipes, resulting in dry, leathery meals. The smart plug cuts power to the device, eliminating this dilemma. It also gives you the control in your phone. It’s easy to forget to set a timer on the slow cooker or wonder if you set it incorrectly. 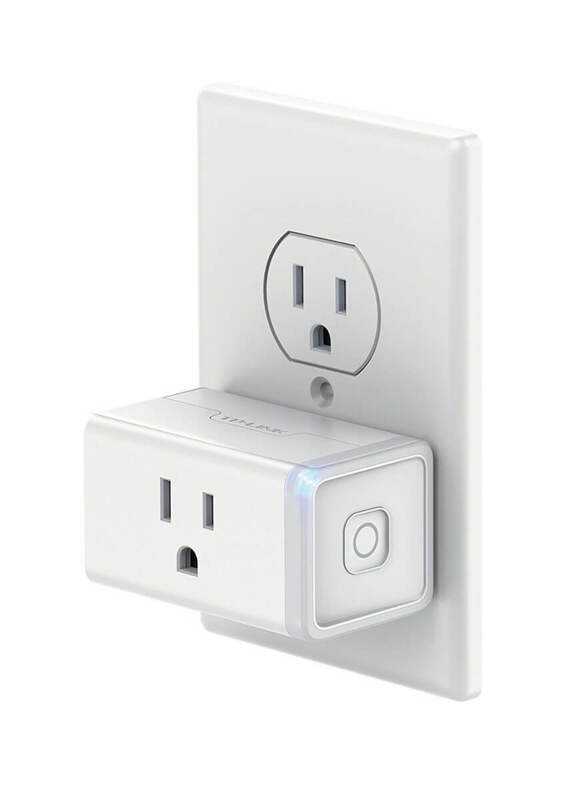 When plugged into a smart outlet, you can control it on-the-go at a fraction of the cost. Smart slow cookers may be the workhorse of your weeknight meals, but they’re not the only examples of useful kitchen technology on the market today. Check out this article for 20 other kitchen gadgets to make cooking smarter. Tell us in the comments below if smart slow cookers would make your weeknight dinner routine easier!